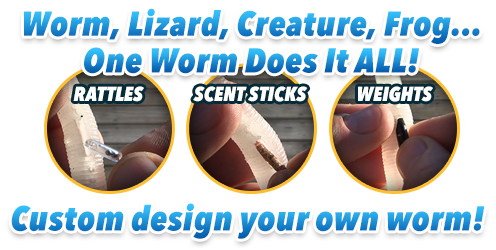 Mighty Bite™ Worm | World's first interchangeable 3-in-1 worm lure! 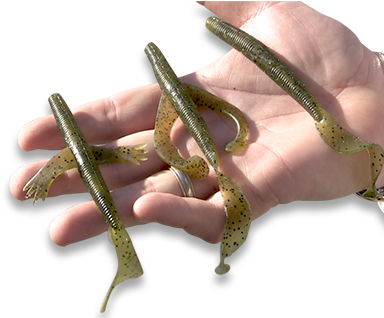 World's first interchangeable 3-in-1 worm lure! Mix and match colors to create HUNDREDS of ultimate fish-catching combinations! YES! Please include the FREE BONUS MONSTER BASS KIT with each Might Bite™ Worm kit in my order for just an additional $7.95 P&H per kit. Your complete Mighty Bite™ Worm fishing system contains everything you saw in the commercial, including the new Pro Worm Series Kit with over 100 pieces for only $19.95 and just $9.95 processing and handling. 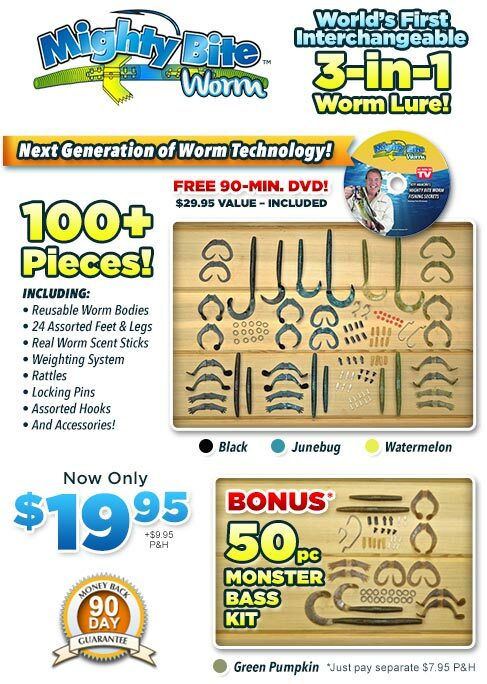 As part of this special offer, you'll also receive Jeff Mancini's exclusive "Worm Fshing Secrets" DVD FREE! Plus, as an option, you can choose to receive our bonus Monster Bass Kit for FREE, just pay separate $7.95 P&H. Try Mighty Bite™ Worm for 90 days, an entire fishing season! If you don't catch more fish than ever before, just send back the unused pieces and we'll give you a full product refund (less P&H)! NY residents add sales tax to your total order. Orders from outside the Continental U.S. add $10.00. Continental U.S., AK, HI, GU, PR, VI & Canada orders only. Please allow 2-6 weeks delivery. 90 Day Money Back Guarantee (less P&H).